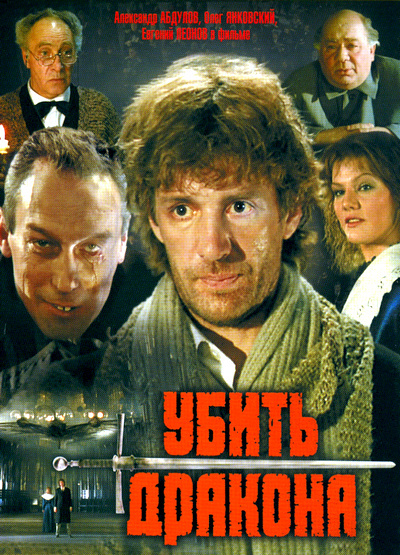 A brilliant movie, like most of Russian's movies. Based on the play "Kill the Dragon", by Evgeni Schwartz, it is mostly like theater, with strong accent on the characters, the plot, the acting. The movie delves deep into the psychology of the tyranny and oppression, and into the psychology of the oppressed. "I started to envy the slaves. ", says Lancelot, "They know everything in advance. They have solid convictions; maybe, because they have no choice?" This fantasy-adventure series is produced and shot in Australia. 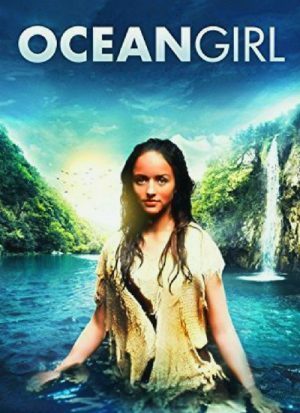 Set underwater, in tropical rain forests, around waterfalls, lagoons and the coral reef, "Ocean Girl" focuses on Neri and two boys, Jason and Brett Bates, who discover her. Neri can swim amazingly fast and communicate telepathically with her best friend, a 40-ton humpback whale she calls Charley. The boys' recently divorced marine biologist mother, Dianne Bates, has moved her family to ORCA, a futuristic underwater research colony in the Great Barrier Reef. Bates set out to study the brain patterns of the humpback whale, choosing Charley as their subject. After the boys befriend Neri (and keep her a secret from their mother), she shows them the beauty of the environment. You'll never have more fun learning and exploring the wonders of science than with these delightful animated films from beloved, Academy Award- winning director Frank Capra. 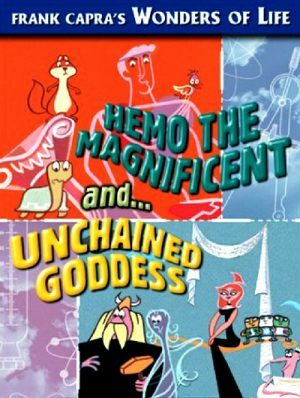 First, Peabody Award-winning Dr. Frank Baxter shows the fascinating path taken by blood throughout the body in Hemo the Magnificent, a humorous tour of the body's amazing plumbing system filled with memorable characters and eye-popping microscopic photography. Then go from the inner body to the upper heights of our planet as the Unchained Goddess of weather joins Dr. Baxter for a colorful look at our atmosphere, complete with cartoon characters like Wind, Clouds and Rain. It was the fourth and last film in the series that was produced by Frank Capra, who wrote the screenplay with Jonathan Latimer. 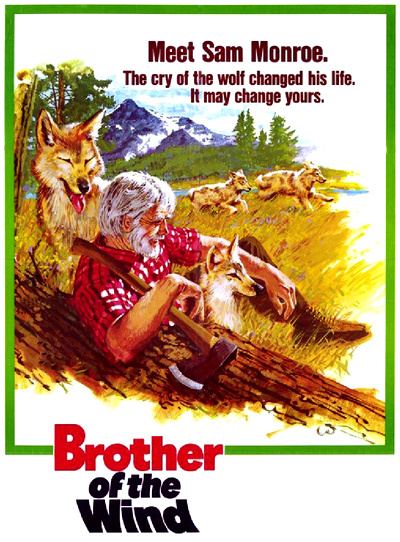 Unlike the first three of the films, this film was directed by Richard Carlson, who also appears in the film. Dr. John Dolittle (Rex Harrison) is a veterinarian, living in the quaint little town of Puddleby-on-the-Marsh, in England in 1845. Dr. Dolittle used to be a regular doctor until he found that he generally preferred the company of animals to the company of people. The real turning point in his life came when his wise old parrot Polynesia began teaching him how to speak the languages of all the animals. 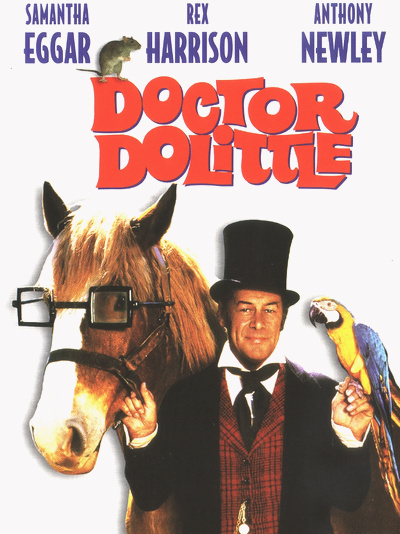 This unique ability to speak his patients' languages makes Dr. Dolittle the best veterinarian in England, if not the world. 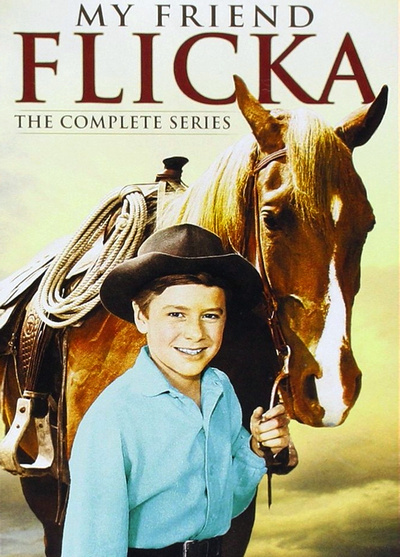 Inspired by both the classic 1941 novel and the equally popular 1943 film adaptation, My Friend Flicka follows the adventures of young Ken McLaughlin (Johnny Washbrook) and his horse Flicka. Living with his parents on the Goose Bar Ranch at the turn of the twentieth century, with his beloved Flicka by his side, Ken's life on the range is filled with danger, thrills… and above all, friendship. All thirty-nine episodes of My Friend Flicka are packed with the adventure and heart that fans of classic TV Westerns and their families will treasure. ‘Well-known name’ actors like Hugh Beaumont, Claude Akins, Sheb Wooley, Minerva Urecal, Mike Mazurki, Denver Pyle, and even screen legends John Carradine and Jane Darwell, appeared in episodes in the series. Mary Pickford (1892-1979) was a multifaceted pioneer of early cinema. She was a talented performer, a creative producer and a savvy businesswoman who helped shape the film industry as we know it today. Mary Pickford rose steadily to fame at a time when there was no path to follow. Actresses who came after her, such as Joan Crawford and Jean Harlow, cut pictures from fan magazines, pinned them to their walls and dreamed of stardom. 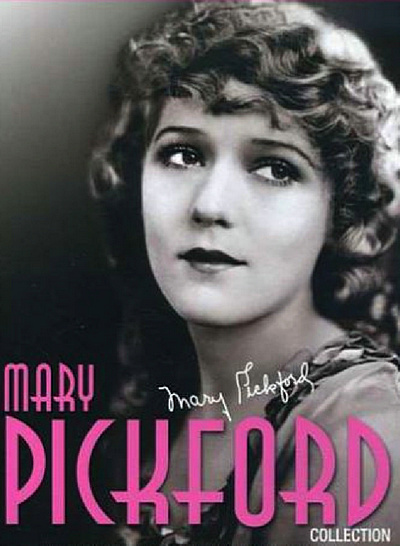 Mary was known as "the girl with the curls" and "the Biograph girl" before audiences learned her name; fan magazines were created because of stars like Mary Pickford. In fact, the very first issue of Photoplay in 1912 featured Mary dressed in character for Little Red Riding Hood. Her first film director was D.W. Griffith and she went on to work with most of the greats of her era such as Cecil B. De Mille, Allan Dwan, James Kirkwood, Marshall Neilan, Sidney Franklin, Maurice Tourneur and Ernst Lubitsch. Her career was buoyed by fellow professionals who were also friends, including the cinematographer Charles Rosher and the screenwriter Frances Marion, at a time when the art form was in a near constant state of change. Experience the hit television show that became a national sensation and made coonskin caps a staple for a generation of American youngsters. With a rifle named Old Betsy, Davy Crockett fought for justice with his own brand of homespun ingenuity. 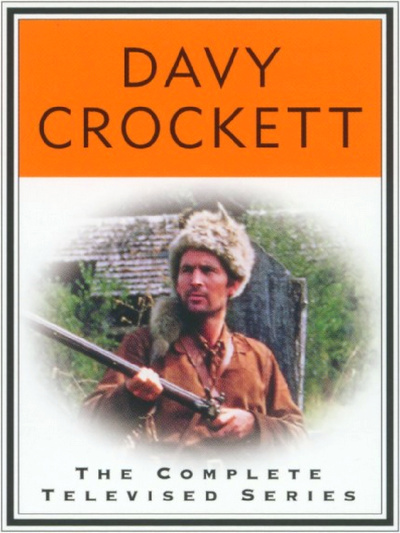 All 5 episodes of Walt Disney's Davy Crockett series chronicling the adventures of the King of the Wild Frontier. Beginning with Davy Crockett, Indian Fighter and featuring Davy's adventures all the way up to the Alamo, these classic adventures are fun for the whole family. The three original episodes were later recut into the theatrical feature Davy Crockett, King of the Wild Frontier (1955). Sixty years later, Davy Crockett remains an engaging example of national myth making. Younger viewers may be surprised to find this straightforward hero retains much of his appeal in an uncertain time. Enjoy every episode of the popular Disney television series, presented as they were originally broadcast, complete with introductions by Walt Disney himself. Included are interviews with series stars Fess Parker and Buddy Ebsen as well as a gallery of original artwork, advertisements and theatrical posters. The Latvian animation tradition that began in the 1960s is one of the strongest areas in Latvian cinema – diverse in genre and technology, full of creative revelations. Now, in the 21st century, Latvian animation is proud of their success at international festivals and of the strength of their creative core, their thriving studios and outstanding authors. 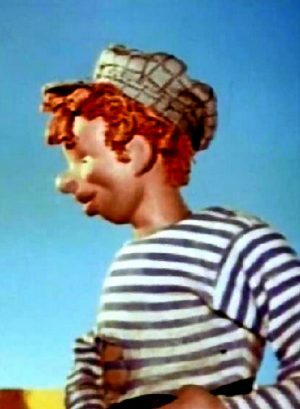 Arnolds Burovs, who made more than 40 films, began puppet animation at the Riga Film Studio. Burovs’ vision was carried forward by director Janis Cimermanis and artist Maris Putnins, who later became the producer of many films. They founded the studio Animacijas Brigade in 1992, and cultivated the studio’s recognizable visual signature and tone – comical, sincere, adventure-filled. Animacijas Brigade (Studio AB) is one of the most tradition-rich Latvian animation studios, and their films are regularly included in international film festival programmes. They’re frequent guests at the Berlinale – Cimermanis’ film “Corrida” was in the 2012 line up, and Dace Riduzes’ films have visited the festival on three occasions: “Firefly” in 2003, and “Acorn Boy” and “Little Rudy” in 2013. In 1994, Nils Skapans’ film “Let’s Fly” received the Berlinale Crystal Bear award.